1Not available with special finance or lease offers. See dealer for details. 2See dealer for details 3Not available with special finance or lease offers. See dealer for details. 4Ultra-low mileage lease for well-qualified non-GM Lessees. $0.25/mile charge over 30,000 miles. Tax, tag, license and acquisition fee additional. $2,000 due at signing. Offer expires 4/30/2019. Lease terms end or change at 30000 miles 5Monthly payment is $13.89 for every $1,000 you finance. Average example down payment is 4.5%. Some customers may not qualify. Not available with leases and some other offers. Take retail delivery by 4/30/19. See dealer for details. 1COURTESY TRANSPORTATION BONUS CASH 2DEALER DISCOUNT 3See dealer for details 4Monthly payment is $13.89 for every $1,000 you finance. Average example down payment is 4.5%. Some customers may not qualify. Not available with leases and some other offers. Take retail delivery by 4/30/19. See dealer for details. 1Not available with special finance or lease offers. See dealer for details. 2See dealer for details 3Not available with special finance or lease offers. See dealer for details. 4Monthly payment is $13.89 for every $1,000 you finance. Average example down payment is 4.5%. Some customers may not qualify. Not available with leases and some other offers. Take retail delivery by 4/30/19. See dealer for details. Buick has revamped their product line with numerous stylish, dynamic vehicles that you might not even recognize on the road. More and more people are discovering the quality that the new Buick vehicles have to offer. That's why Buick is one of the faster growing brands in the industry. People in the Shillington, PA and Reading, PA areas can shop from a vast inventory of new Buick cars and SUVs for sale or lease at competitive prices at Geoff Penske Buick GMC. And right now, you can take advantage of huge savings on your favorite models. If you've got a regular commute to and from work in the Lancaster, PA or Kutztown areas, you'll appreciate the efficiency of the new Buick Encore, available now at Geoff Penske Buick GMC. The new Buick Encore is a small crossover SUV that gets better fuel economy than most in its class, earning an EPA-estimated 26 mpg in the city and 31 mpg on the highway. It also handles nicely on winding roads and has a spacious, luxurious cabin with standard features like proximity keyless entry, push-button start, a 4G LTE Wi-Fi hot spot, and Apple CarPlay and Android Auto connectivity. If you want a bigger SUV, consider the new Buick Envision. The new Buick Envision has roomy, comfortable seats and plenty of cargo space. It offers a slew of connectivity and driver assistance features, and its tech offerings are tied together by the user-friendly IntelliLink infotainment system. It also gets excellent gas mileage and delivers a smooth, laid-back ride. If you need a midsize SUV, the new Buick Enclave seats seven, has a potent engine, a refined ride, a posh cabin, and an almost perfect predicted reliability rating. Its quiet interior has an abundance of standard features, including Siri Eyes Free, remote start, tri-zone automatic climate control, active noise cancellation, a proximity key, and push-button start. Rather have a new Buick car? Geoff Penkse Buick GMC has them as well for drivers in the Wyomissing and Shillington, PA areas, including the new Buick Regal. The new Buick Regal is a versatile car that's available in sedan, hatchback, or wagon. The new Buick Regal has an attractive style, plenty of headroom and legroom, and up to 73.5 cubic feet of cargo space in the hatchback and wagon models. It also has an available 310-horsepower V6 engine that builds up speed evenly and rapidly, whether in the city or on the highway. If you'd prefer a bigger car, check out the new Buick LaCrosse. The new Buick LaCrosse has earned excellent safety ratings, and has a top-notch cabin, composed handling, and a compliant ride. The seats in both rows have plenty of head- and legroom, and standard features include dual-zone automatic climate control, an eight-speaker audio system, Apple CarPlay, Android Auto, a Wi-Fi hot spot, a rearview camera, and rear parking sensors. If you'd like a sporty convertible, Geoff Penske Buick GMC has them, too, including the new Buick Cascada. The new Buick Cascada has a quiet interior with its top up, good cargo space, and a nifty exterior design. It also offers a relaxed ride with a lower starting price than most in its class. 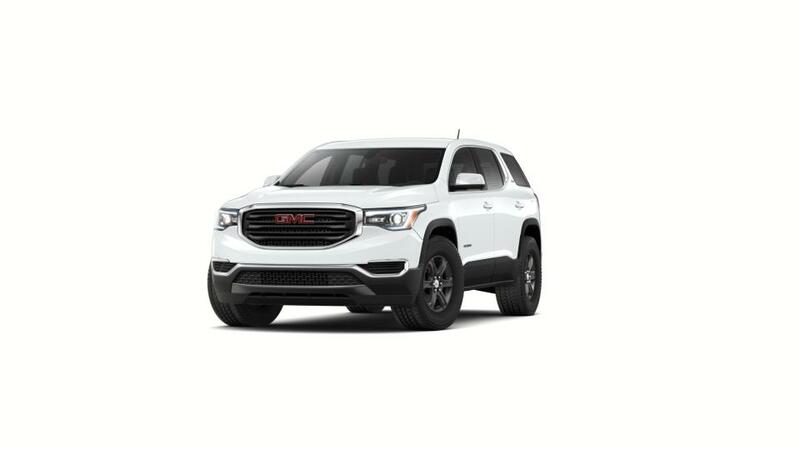 Whether you're looking for a versatile, luxurious new SUV or a roomy, high-performing new car, Geoff Penske Buick GMC has a new Buick vehicle that's right up your alley. Buick financing is available for people in the Reading, PA and Lancaster, PA areas, and you can start the process online with our secure, no-obligation finance application. Once we've processed your information, one of our expert Buick financial advisors will get back with you to discuss your options. We may be able to set you up with a plan that's easier on your budget than you thought. Visit Geoff Penske Buick GMC today for a terrific deal on a well-equipped car or SUV. We’ll see you soon for a test drive!